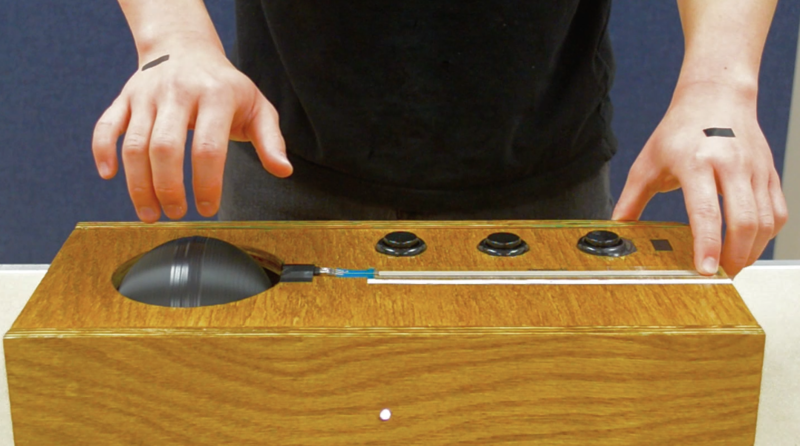 Sound Globe is a musical controller that maps the rotational speed of a sphere to musical dynamics. Musician performs by spinning a sphere for dynamics control and sliding a finger on the membrane potentiometer for pitch control. Max is used for receiving sensor values from Arduino and mapping them to musical parameters. The sphere contains magnets, so hall sensor is used to measure the rotational speed. Pitch is controlled by mapping the sensor value from softpot membrane potentiometer to the frequency. As for sound design, FM synthesis technique is implemented.